The college was “founded in 1870” by a Mr J.H. Stranger who taught in a building in Rhind Street. He lived from 1880 in “Roscrea” in St Nicholas Street with, according to the 1881 census, his wife, two daughters, an assistant master, a nurse, two servants and 13 boarding pupils. The college was advertised in the Harrod’s Royal Directory of 1878 as a “Boys’ Boarding & Day School”. In the 1890’s due to an outbreak of typhoid fever associated with the pump in St Nicholas Street, the boarding house moved to “Eastberry” near the Parish Church. In 1895, with financial assistance from Viscount Clifden at Lanhydrock House, a large house was “rebuilt” for the school near the Great Western Station. It was called “Harleigh House School”. When Mr Strange left to become a Non-conformist minister he sold the school to Mr Rod Rennie in September 1899. He oversaw an extension for a Chemistry Laboratory. 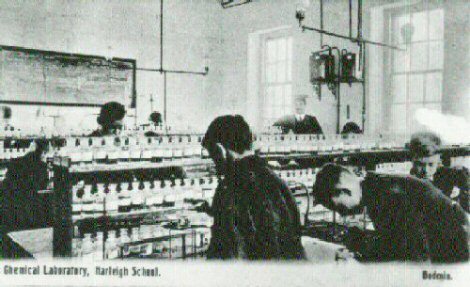 Early in 1902 Mr J.B. Wilkinson bought “Harleigh School” and became its Headmaster for 35 years. The first school trip took place on Friday 22nd May 1903 when the boys took the train to Wadebridge, and then cycled or walked to Polzeath. Lunch bags and baskets were heaped into a pony and trap. Girls were first registered at the school in February 1904 in classes for Pupil Teachers. That summer the school used a field in Lostwithiel Road for the first time for its Sports afternoon. The band of the 3rd D.C.L.I. played during the proceedings. On 16th October 1905 the County Authority took over Harleigh School as a result of the 1902 Education Act and it became known as “Bodmin County School”. January 1906 saw the first admission of four girl pupils into ordinary classes. The building grew in 1909 and again in 1915. During the First World War Belgian refugees were among the pupils attending. Further building work was begun in 1932 and provided the Hall, the Dining Room and the Art Room. Mr Wilkinson retired at Easter 1937 and Mr G.V. Marks became Headmaster. The outbreak of World War Two saw 16 evacuees arrive at the school. By the time it was over in 1945 171 had passed through the school. 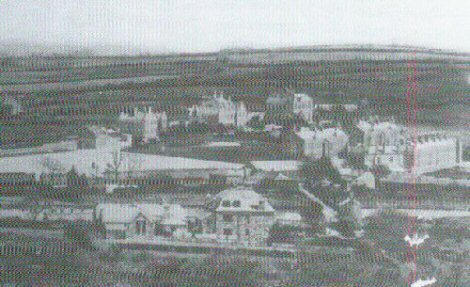 Under the terms of the 1944 Education Act, the school became “Bodmin County Grammar School” in 1945. 1949 saw the first of the outlying huts (known as Rooms 21 and 22) come into use. 1951 saw the arrival of the General Certificate of education Ordinary Level and Advanced Level. This replaced the School Certificate. Rooms 23 and 24 were added in 1955, and a new canteen opened in 1957, the old one being converted into a Library. In 1960 Mr Marks retired and Mr H.P. Harper was appointed as Headmaster. In April 1960 work began on building Bodmin’s new “County Secondary Modern School” on a site in Lostwithiel Road next to the Grammar School sports field. Prior to this students who hadn’t passed the 11+ exam stayed at the C.P. School at the top of Robartes Road until they left at the age of 15. Mr D.G. Shepherd was appointed its Headmaster in February 1961. He took up the post at Easter, although the school didn’t officially open until September 1961. The current Bell Building was the whole school. 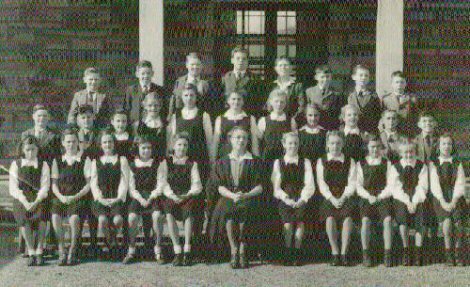 In 1966 the Secondary Modern School raised funds for a Farm Unit, which was then built by the students themselves under supervision. 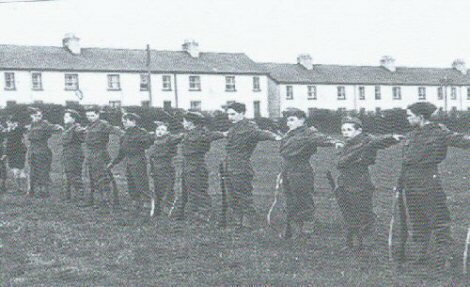 In 1967 it was announced that there would be a Comprehensive School in Bodmin. In January 1969 the Grammar School introduced a mixed staff room. Prior to that, the male and female staff had separate rooms. Also in 1969 the school took over a house, “Lyndhurst”, opposite the railway station to help house a growing Sixth Form. Mr Harper left at Easter 1971, with Mr R.C. Roberts appointed as Acting Head for the summer term. Mr Arthur Hayward arrived as Headteacher in September 1971, knowing he would be the Head of the proposed new Comprehensive School in 1973. 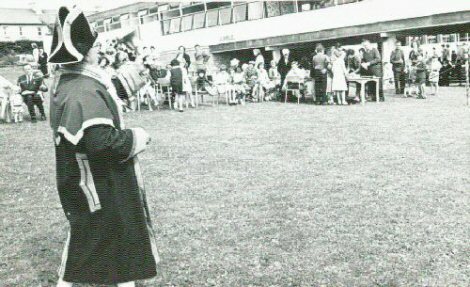 Mr D.G.Shepherd retired as Head of the Secondary Modern School at the end of the summer term 1972. Mr Hayward was, therefore, Head of both schools for their final year, and the process of amalgamation began with some staff teaching in both schools. What is now called the Robartes Building was built on the Lostwithiel Road site and was in use from 1973 (although not officially opened until 1977). The technology block and Sports hall were built at the same time. 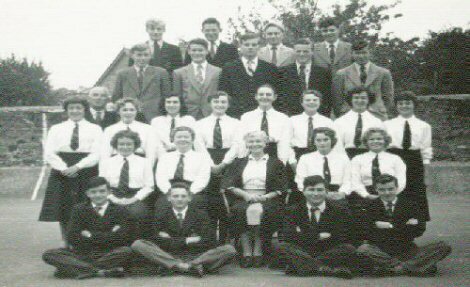 The beginning of term in September 1973 saw “Bodmin School” with 1200 pupils. The first two years were based on the Harleigh Road site, and from the Third Year to the Sixth Form on the Lostwithiel Road site. A bridge and footpath to connect the two was opened in 1975. Mr Hayward retired in 1984 and Mr John Evans was appointed as Headteacher. 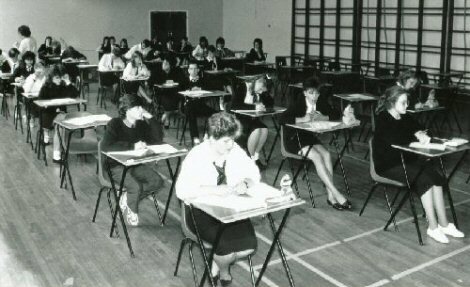 In 1988 G.C.S.E’s were sat for the first time, replacing O Levels and C.S.E’s. In 1988 the school was renamed “Bodmin Community School” to reflect the many community aspects of its work, including an Adult Education Centre by the steps on Mount Folly. 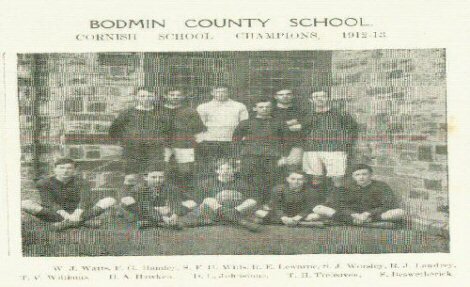 In 1992 the name changed again to “Bodmin Community College”. 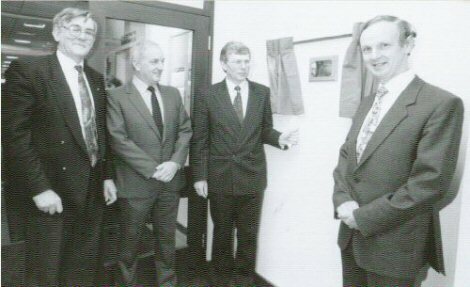 In January 1993 the £3 million Harleigh Building was opened as part of the unification onto one site. It was built on the site of the Farm Unit. A new Creative & Performing Arts block was built and the Technology building expanded. The last lessons to be held at the old Grammar School building were in the Domestic Science room in December 1993. The College opened a nursery on site. In 1998-99 Mr David Dunkley was Acting Headteacher for a year while Mr Evans was seconded to County Hall. At Easter 2002 Mr Evans retired, and Mr Robert Mitchell was appointed as the new Headteacher. As funding for adult education changed, the Mount Folly Centre was lost, and the word Community was dropped from the name. The school was now known as “Bodmin College”. A new Sixth Form building was opened in 2004, while in 2005 the College took on a unit on the Woods-Browning Industrial estate for the teaching of Vocational Courses. A Rugby Academy was started in the Sixth Form. In 2006 this was joined by a Football Academy, while the Vocational Centre was expanded to include a Hair & Beauty Salon and Construction Centre. In 2011 Bodmin College became an academy. In August 2012 Bob Mitchell retired as Principal to be replaced by Brett Elliott. The education scene is constantly changing, but the people of Bodmin and the surrounding area can rest assured the education offered in Bodmin has been second to none.